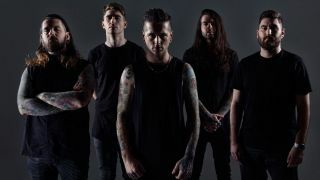 Bury Tomorrow have announced a UK tour which will take place later this year. The band have lined up a total of seven shows, which will kick off at Portsmouth’s Pyramids Centre on December 13 and wrap up with a set at London’s Roundhouse on the 21st of the month. The shows will be their only live appearances in the UK this year and have been organised in support of their new album Black Flame. Vocalist and guitarist Jason Cameron says: “Here we go again! Following the best year of our lives, we’re back to take Black Flame to the next level. We’ll be playing the biggest setlist we’ve ever done, performing songs you’ve never heard live, plus old favourites too. Tickets will go on sale from 10am this Friday (February 15).